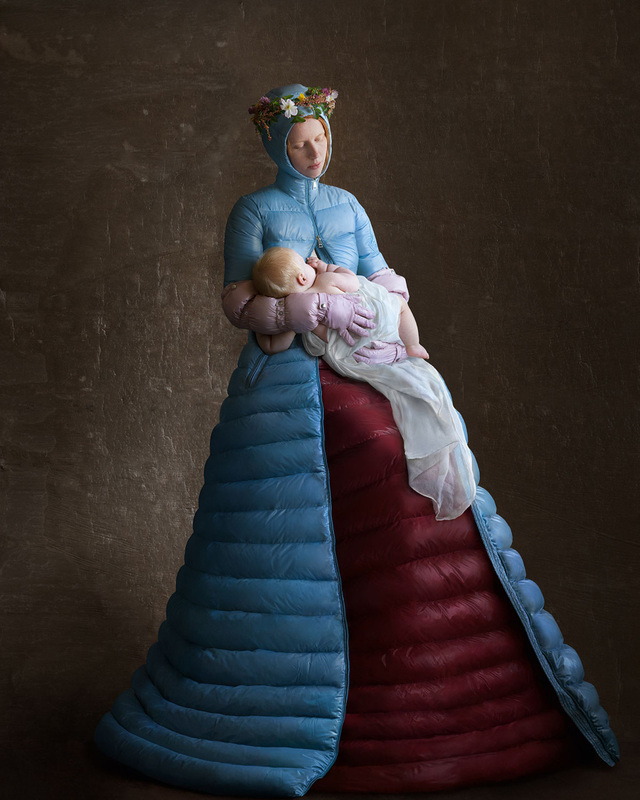 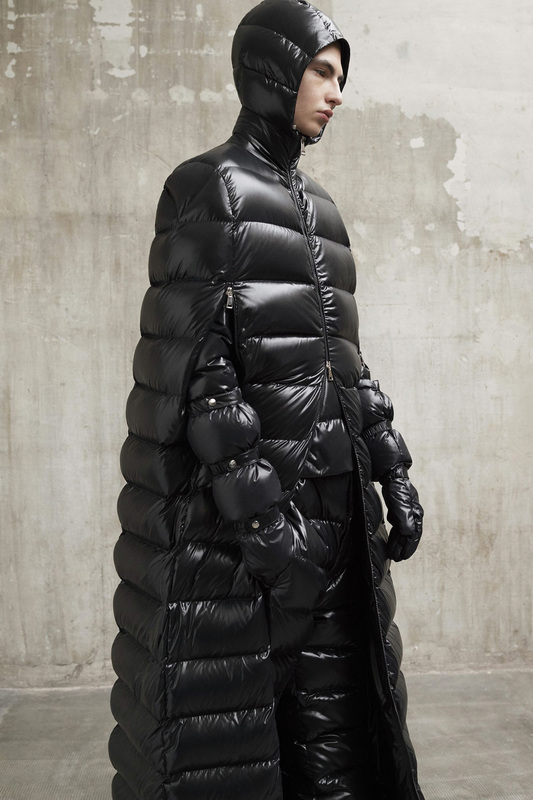 In the latest installment of its multi-brand collaborative genius project, Moncler presents a capsule collection of Renaissance-inspired outerwear. 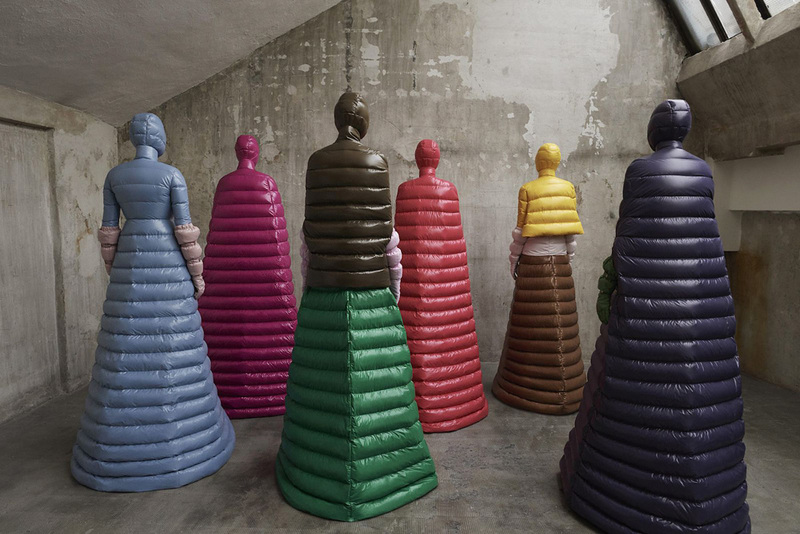 The Italian skiwear manufacturer tapped maison Valentino’s Pierpaolo Piccioli, creative director to the fashion house. 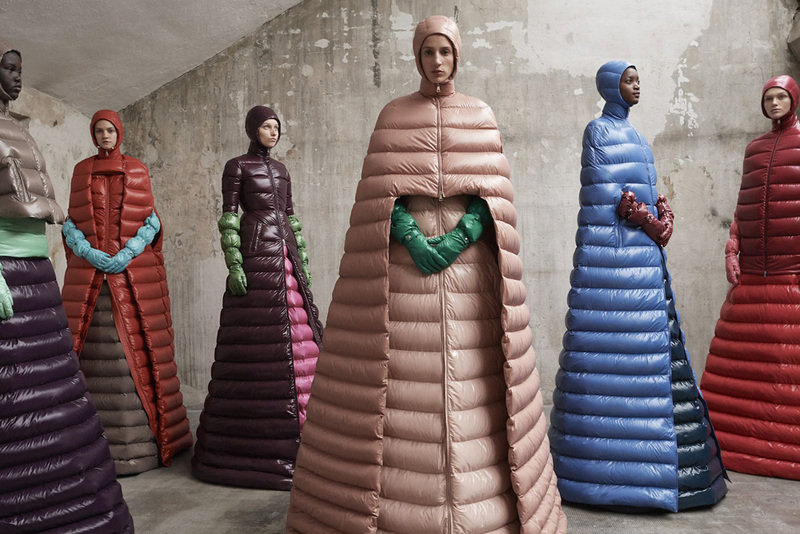 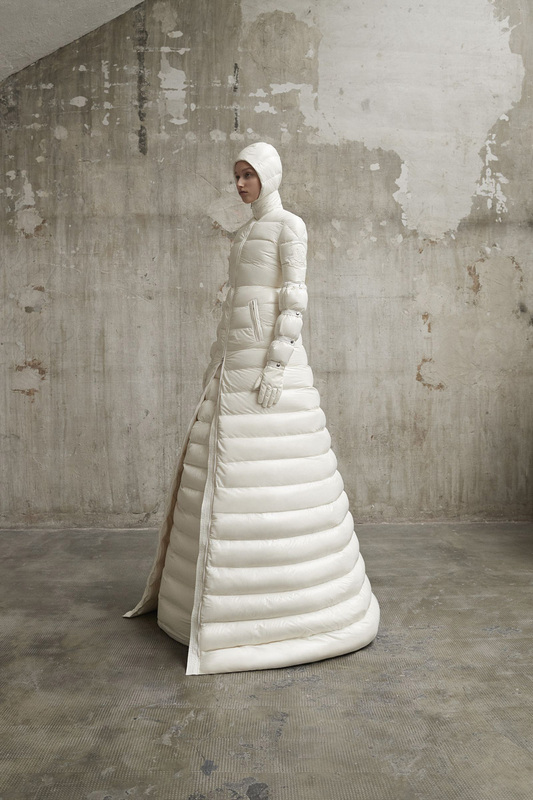 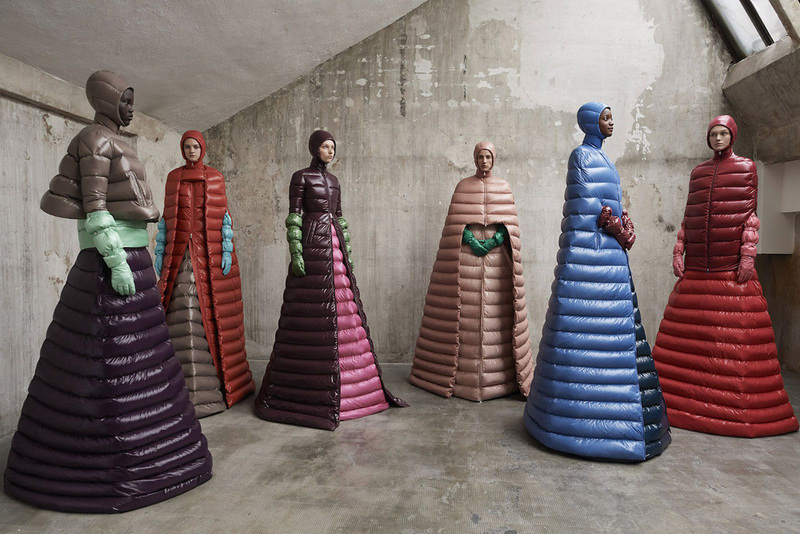 Piccioli uses Moncler’s renowned lightweight down-filled-nylon to create an otherworldly collection combining haute couture and skiwear. 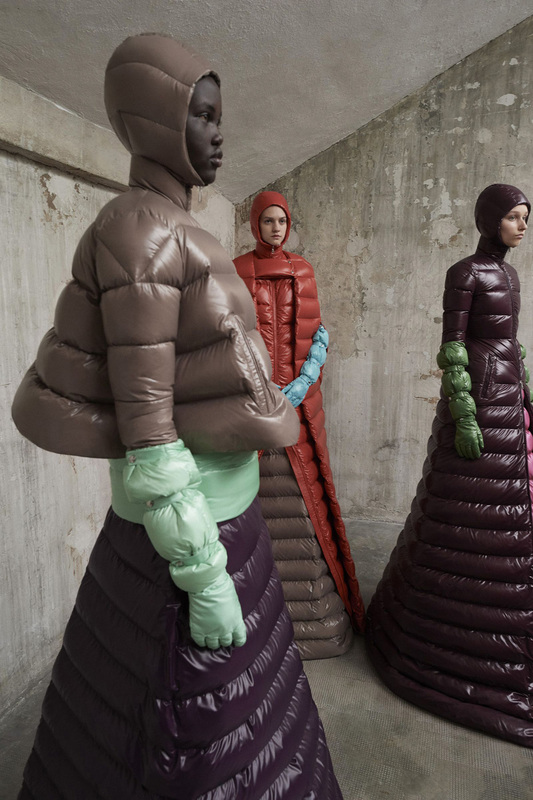 The Italian designer uses pure shapes boasting bold colours to execute a vision he said was inspired by early-renaissance paintings, echoing religious icons like the Madonna. 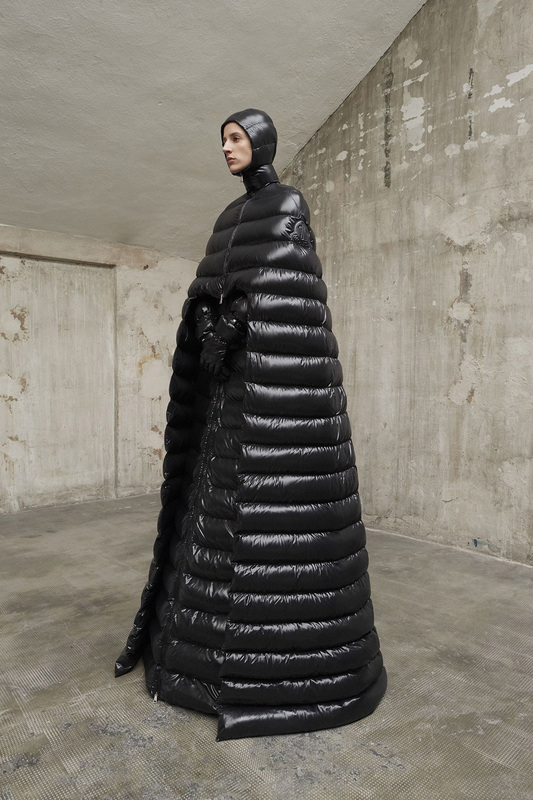 Padded zip-up hooded capes cinched in at the bodice are layered over skirts that paired with matching gloves offer full-body coverage. 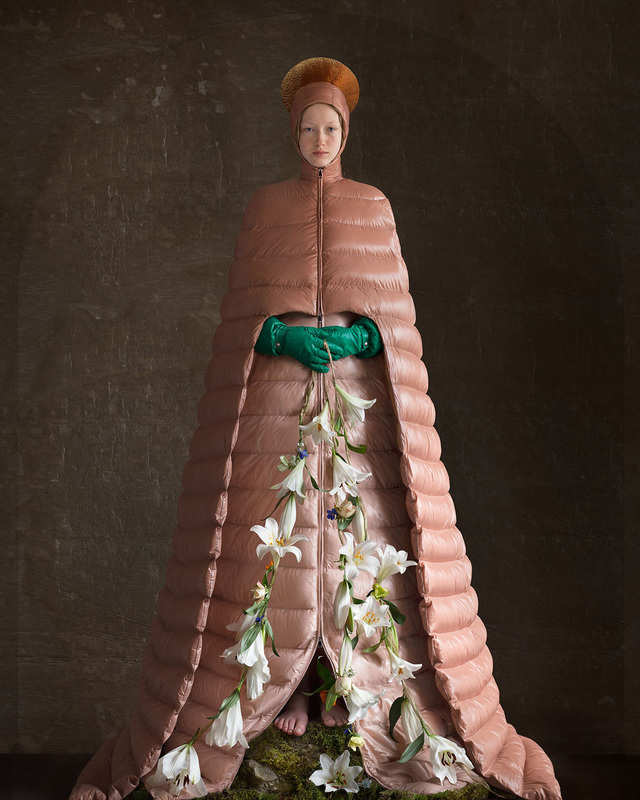 Textile designer and photography Suzanne Jongmans has captured the collection in a series of artworks further referencing the designer’s inspirations. 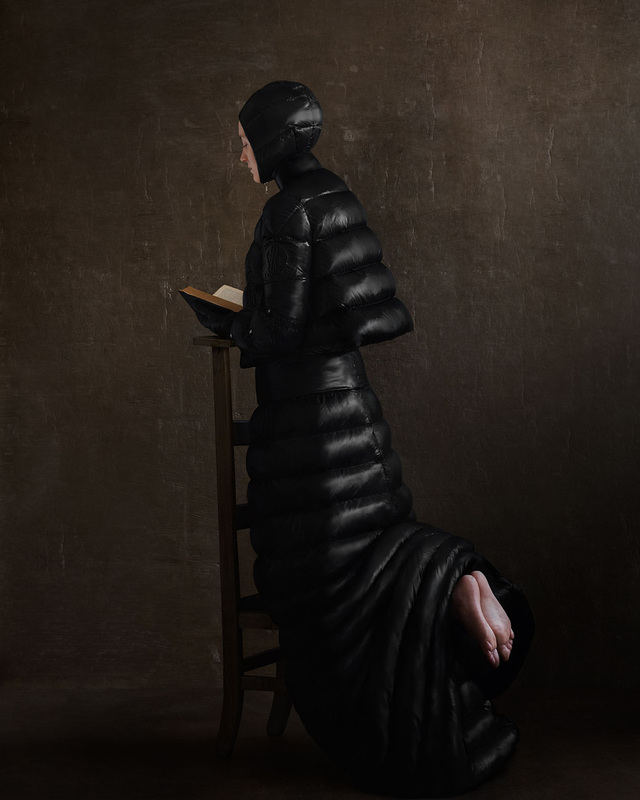 Models are photographed in poses and dress symbolic of religious paintings and rituals. 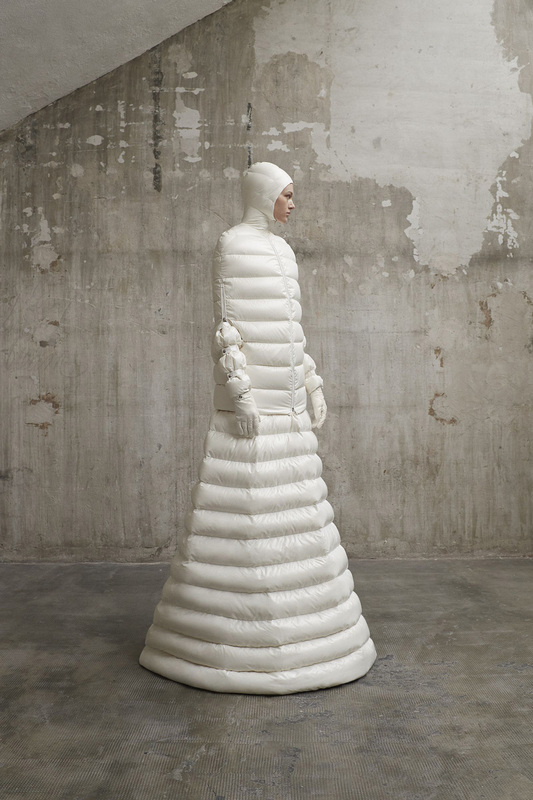 In our fashion blog you can find other interesting fashion collections, for example beautiful balloon dresses.